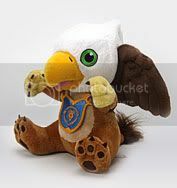 A while back we posted details about the upcoming World of Warcraft Gryphon and Wind Rider Cub Plushies that would soon be available at Blizzard's online store. Well this time we're posting just to let you know it's already up on Blizzard's US store. Apparently it's a limited edition collectible which you can only get at Blizzard's US online store and you can only order 3 of each. 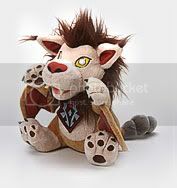 Asking price is a whistle below $25, which is a good buy if you consider the in game pet that goes with each plushie. Check the break if you want to go all cute and cuddly. ACCESSIBLE BY BOTH HORDE AND ALLIANCE PLAYERS. * Limit 3 per customer.